I’ve had too many manic rides home in a dark visor, trying to beat the sunset; to the extent that I thought it time to look for a lid with an integrated sun visor. 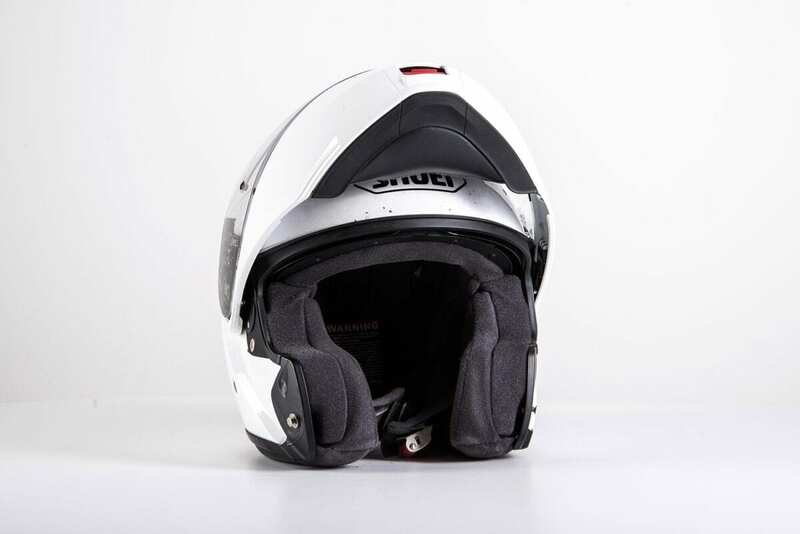 Over a year ago, a friend of mine was raving about the easy to use internal slide-down sun visor of the Neotec, as well as how quiet the helmet was. I’d typically always worn sportier, draughtier and louder lids, but I welcomed the idea of a bit of sophistication in my life. From the first moment I tried the Neotec on, it felt fantastic and I was blown away by how quiet it was. The flip-front system proved a doddle to operate, and I liked the fact I could keep the sun visor down and have the chin bar raised out of the way. 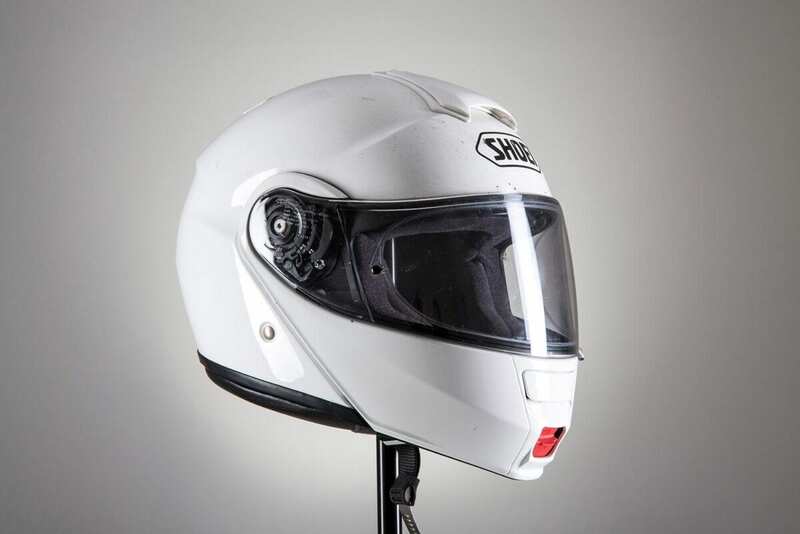 The Shoei quickly became one of my favourite helmets and it’s now my go-to choice for longer trips, or times when there’s even a hint of getting back after dark. 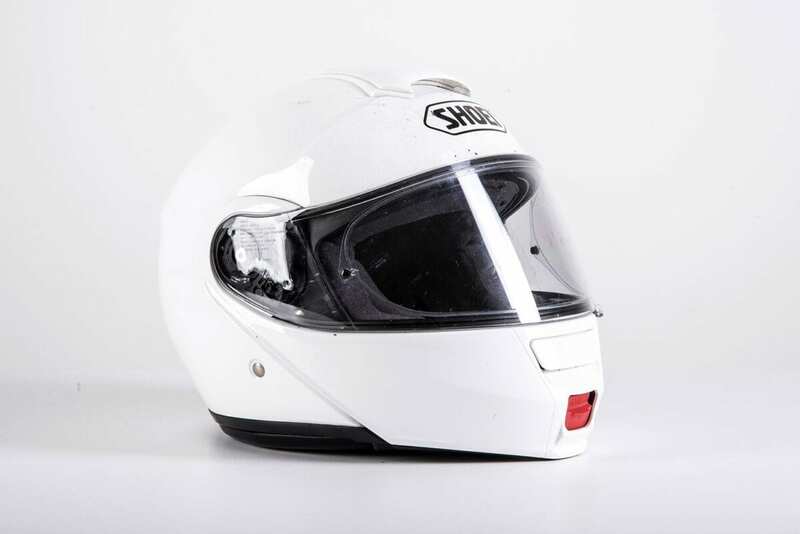 I’ve used the Shoei a lot and rate it highly, but it’s not perfect. The sun visor can get fogged up, and there’s a weird ringing noise if you speak when the lid’s fully closed. I’m also not a fan of the ratchet type chin-strap mechanism, which adjusts easily enough and never fails to operate seamlessly, but I don’t feel as secure in it as I would a double-S. But that’s a personal niggle, and the Neotec’s ventilation is undeniably awesome. Open it up and you’re blasted with cooling air. Close things down and there’s not so much as a trickle hitting your face, which is a great thing on colder days, made even better by the elasticised chin curtain. Clever tech in all the right places, mean this will continue to be he first lid I reach for on many more rides.